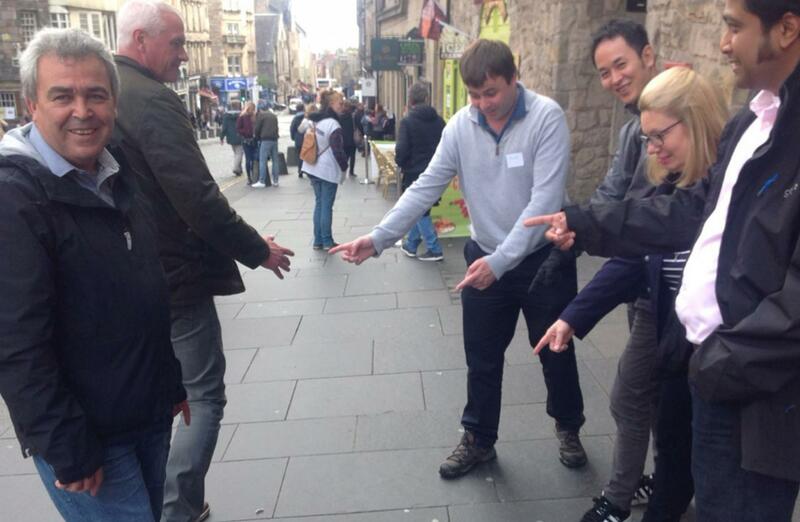 Edinburgh city centre was once again our playground this week, providing the perfect setting for our latest GO Team GPS Interactive Treasure Hunt, as over 120 intrepid adventurers from Kyowa Kirin geared up and got ready to go for a fantastic day of team building entertainment in the heart of the city. 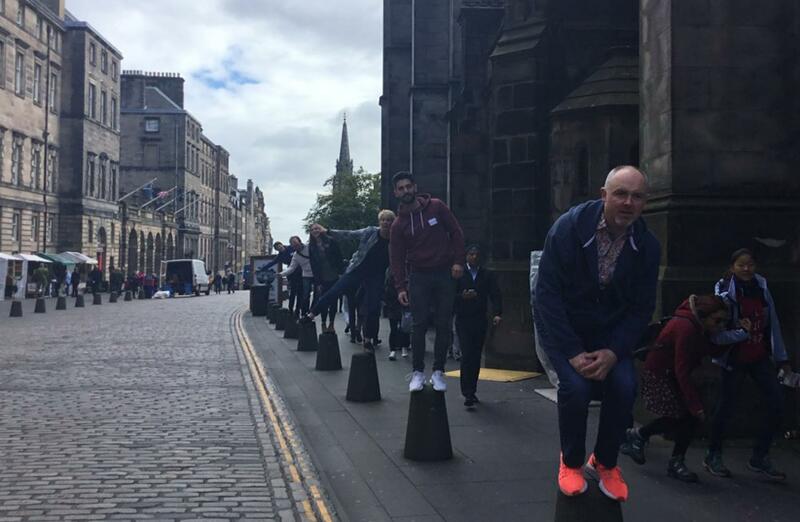 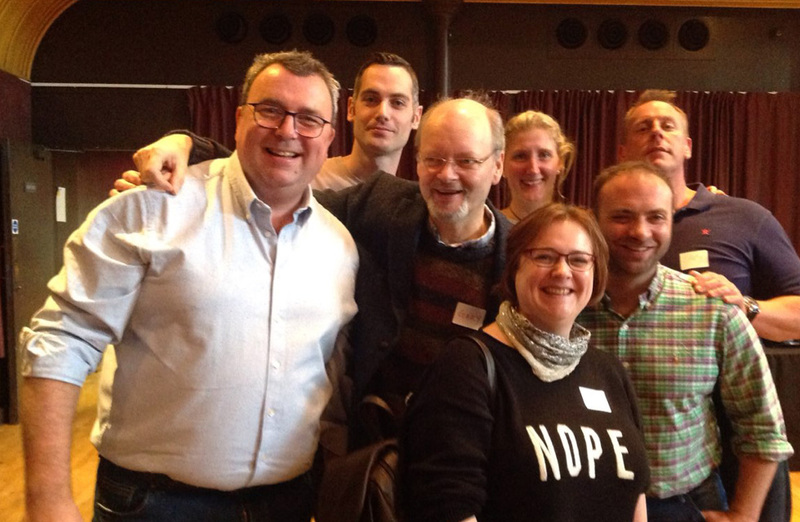 There was much excitement for our guests on arrival to the absolutely spectacular venue, The Hub, situated at the foot of Edinburgh Castle, high up on the Royal Mile, as teams began to gather to kick-off their morning of team building fun. 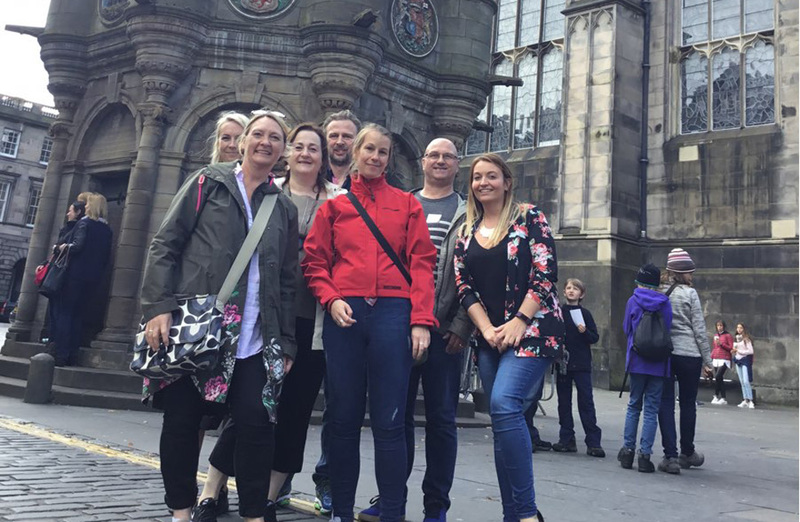 Our GPS Treasure Hunt, however, also had a great deal of serious impact for all in the room, as teams would be working to complete challenges that would enable them to donate money across 3 fantastic charitable organisations – The Lavender Trust, Climb, and Make A Wish. 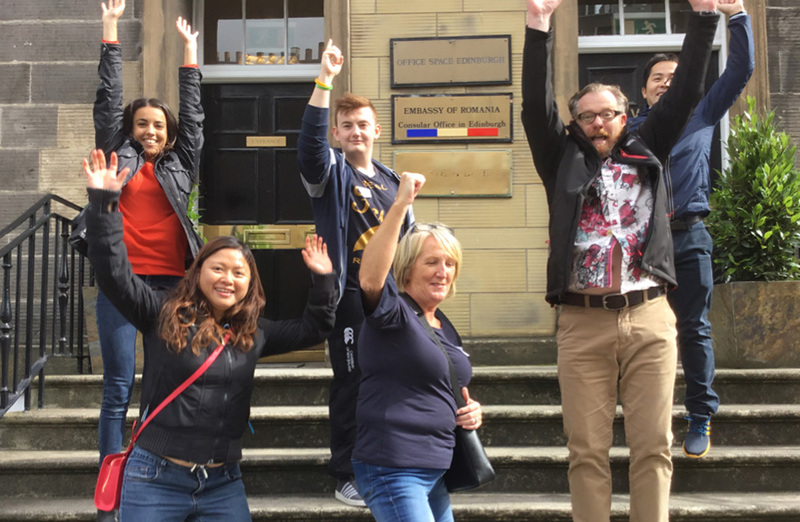 Each team would have up to £200 to donate across these charities, meaning over £3,500 would be donated in total across the day! 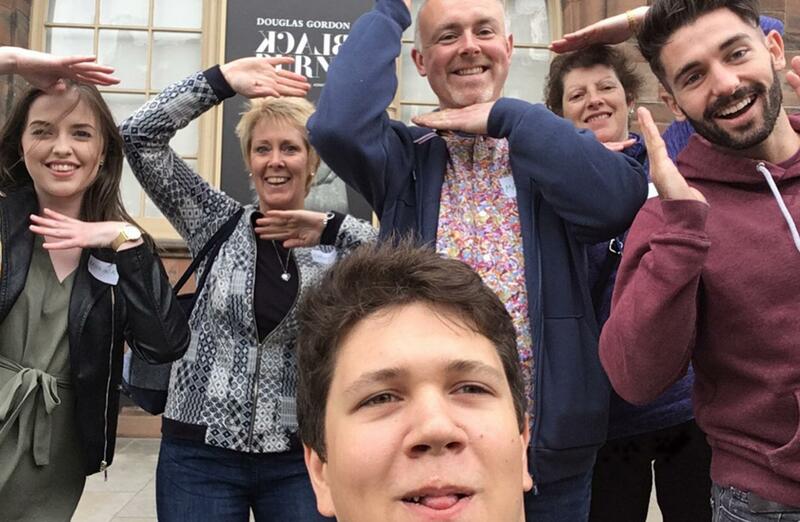 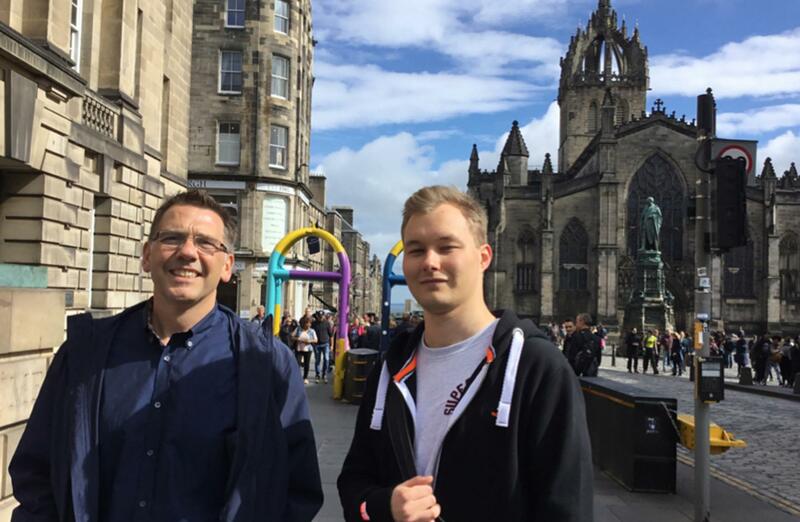 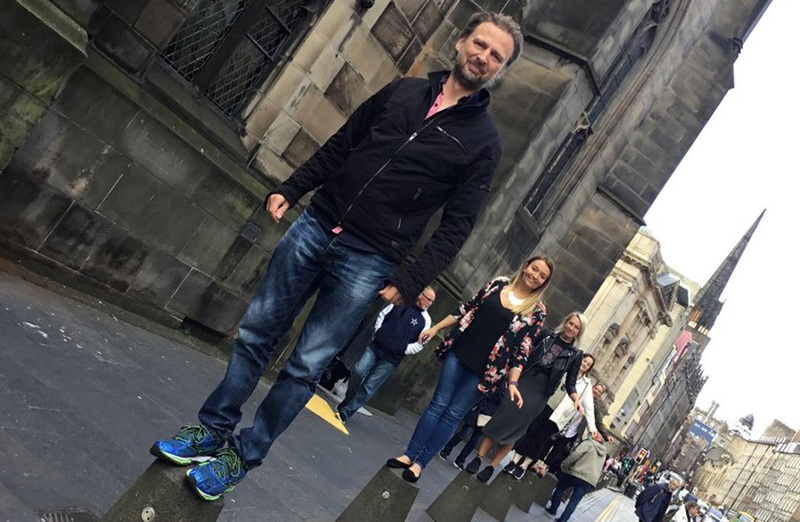 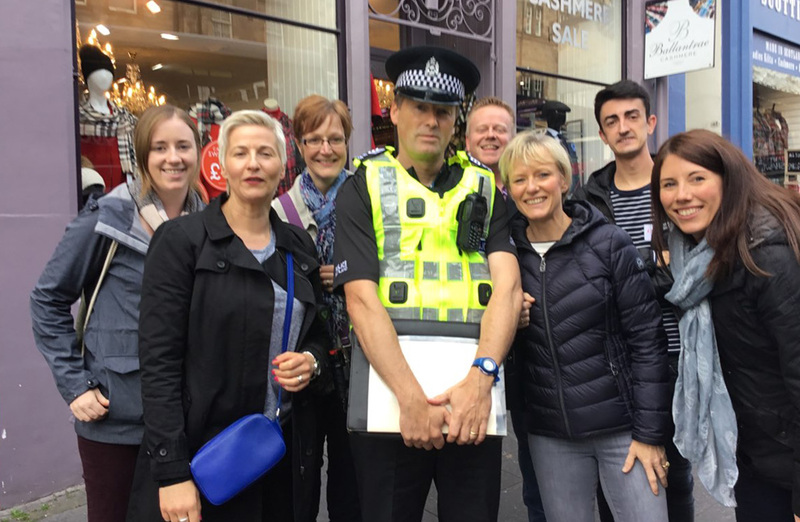 After a quick ‘how to’ briefing session in which our teams got to grips with their tablets, our players raced out the door and on to the busy streets of Edinburgh. 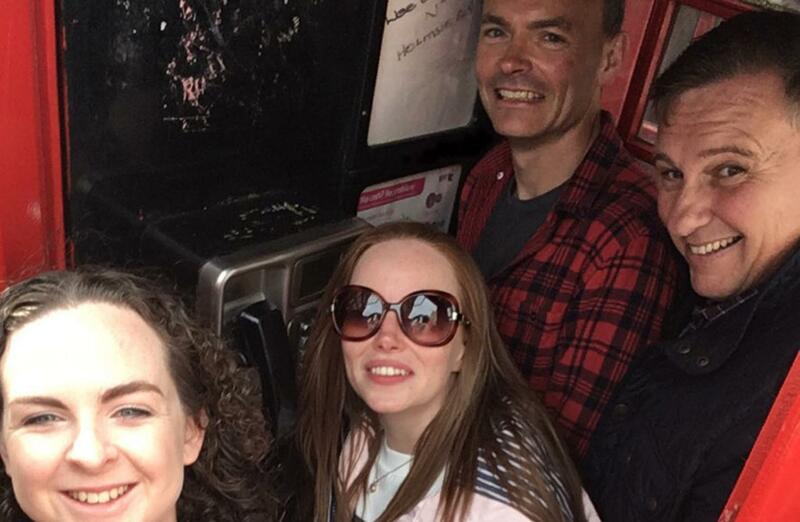 Their mission was to find as many GPS checkpoints as possible located around the city, and complete the mix of challenging, tricky, engaging and entertaining team tasks as they do so. 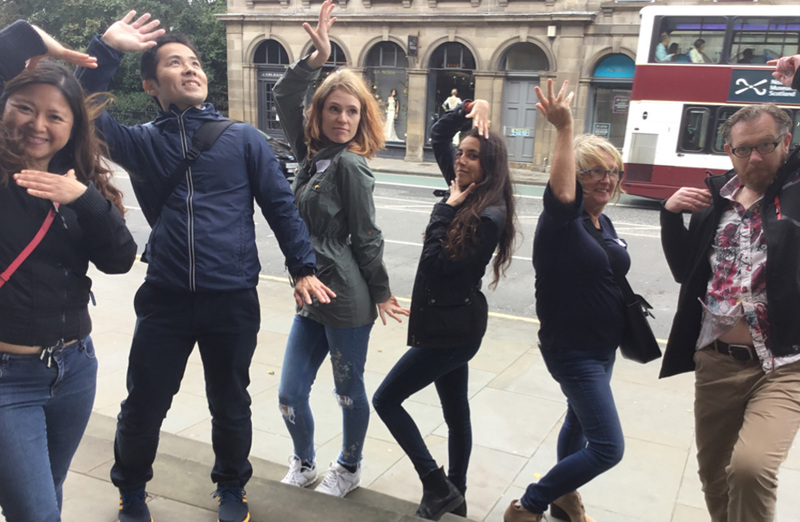 Back at HQ, we had a stream of fantastic answers, ingenious photos and hilarious videos flooding in to us as the teams flew through the checkpoints – our bespoke Kyowa Kirin challenges in particular provided entertainment of the highest order! 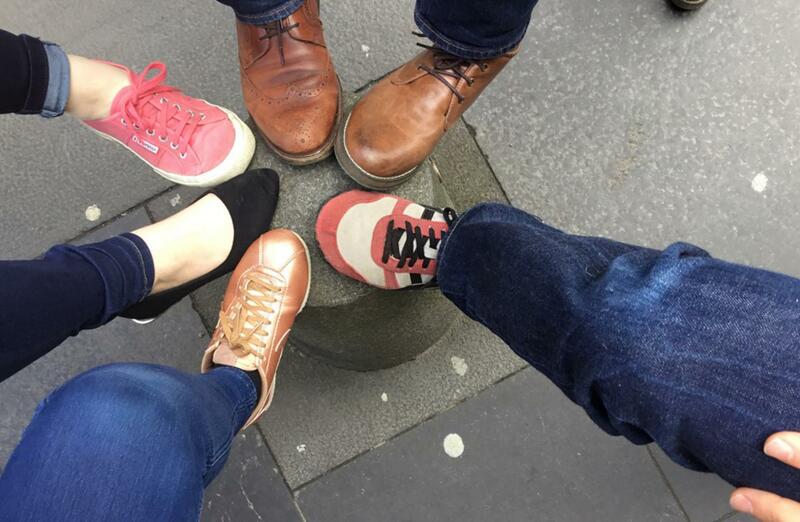 From teams interviewing street-artists about ‘what teamwork meant to them’, whilst others re-created photos of ‘what the Kyowa Kirin values mean to you’. 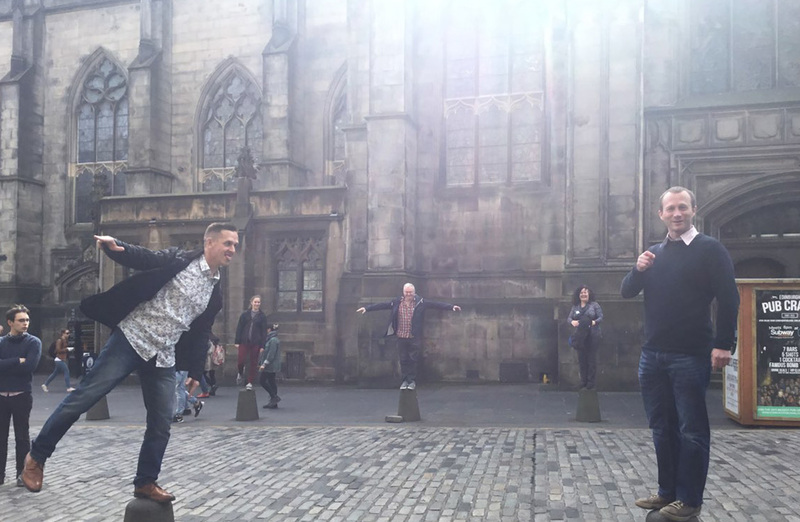 Then there was of course some of our more intriguing tasks to complete… from how many push-ups can be completed in 10 seconds through to an incredible re-enactment of the Fresh Prince of Bel-Air theme tune… all I can say is wow! 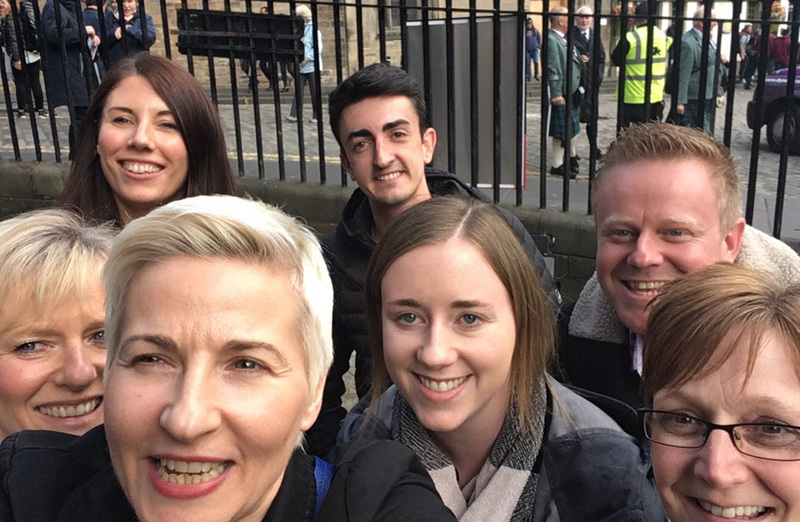 Before long it was 1.00pm, and the teams began to trickle back into The Hub, all buzzing from the entertainment that had gone before them. 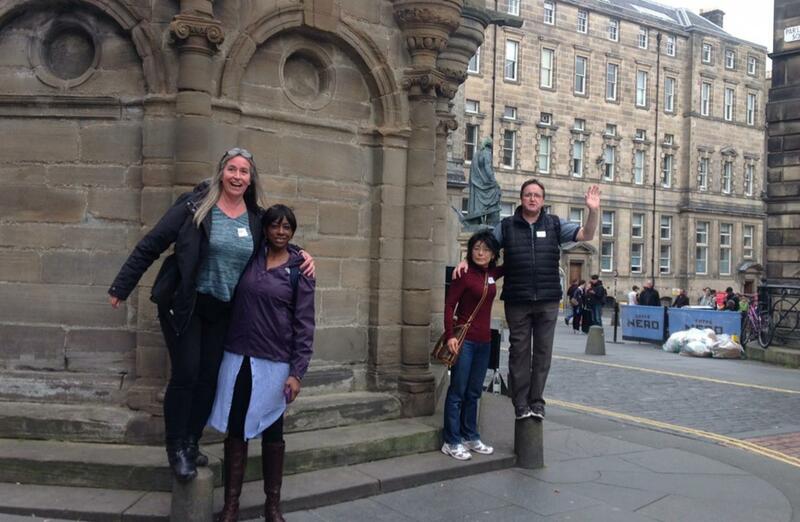 Though we were not done yet, and as the group finished up a fantastic lunch and chatted noisily amongst each other about their adventure, our GPS Interactive Treasure Hunt crew whipped up a storm by presenting the ‘highlights’ from each of the teams as they had trekked across Edinburgh that day, showing of a selection of photos and videos from the trail. 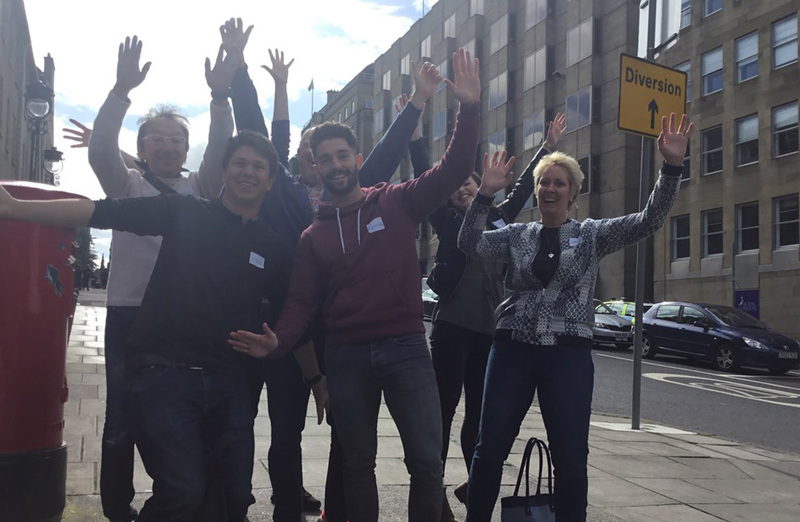 This went down to rapturous applause, massive laughter and huge cheers as one by one the teams were picked out… and made a bit of fun of! 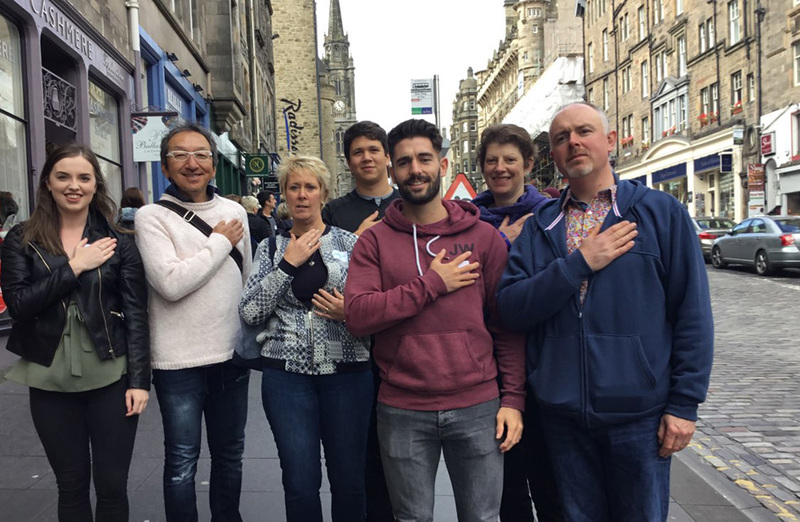 Surely the greatest achievement of all was the collective reciting of the Kyowa Kirin ‘Commitment to Life’ Poem, which really did stir emotion in the room and bring the entire team together for a fabulous finale! 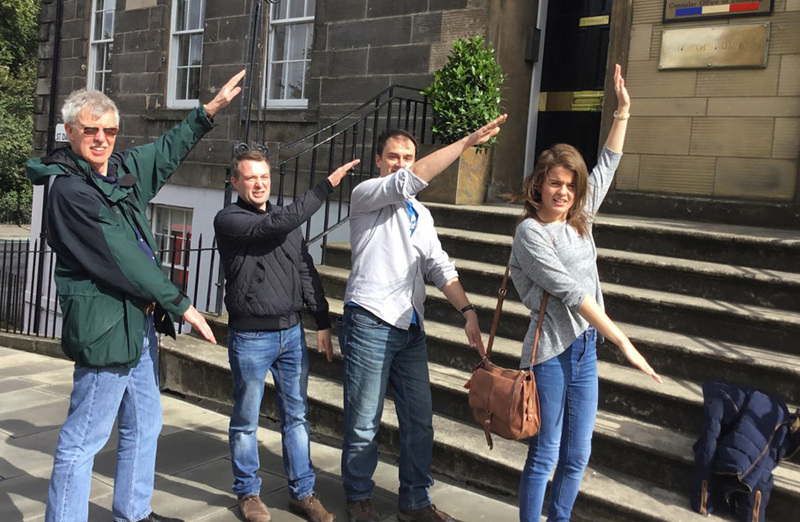 Finally, it was time to announce our winners and losers of the day... coming in at last place, with a semi-respectable 1050 points, and taking home the wooden spoon was the innovatively named Team Number 1! We called out all the following teams, who were all well applauded, before we reached our final 3. 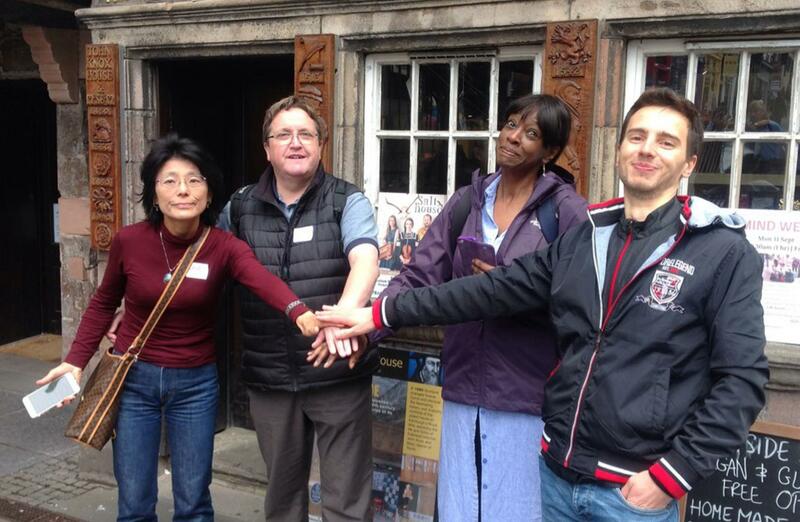 In Third spot, with a sensational 2134 points, was Team 4! The top two spots were separated by less than 50 points, with second place going to the ever-charming Team Bing! 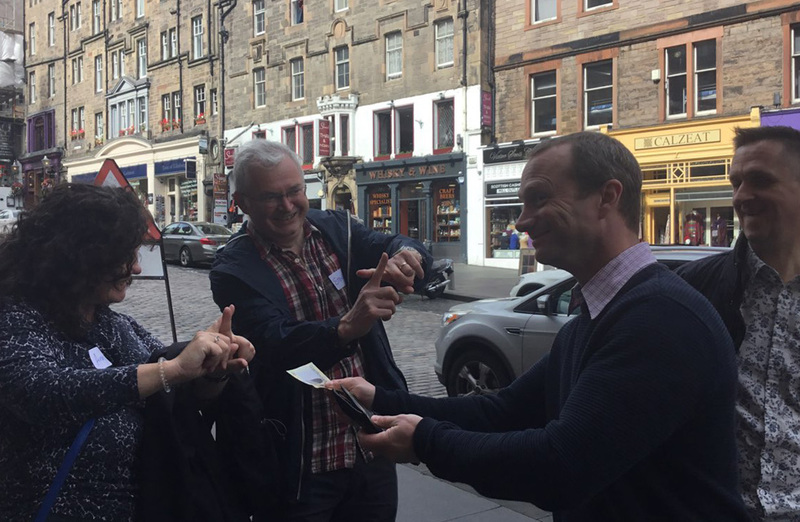 But your Edinburgh GPS Treasure Hunt champions, ladies and gentlemen, with a huge 2,539 points and taking home the Team Challenge Company Winner’s Trophy... the unstoppable, Abandon All Hope Team! 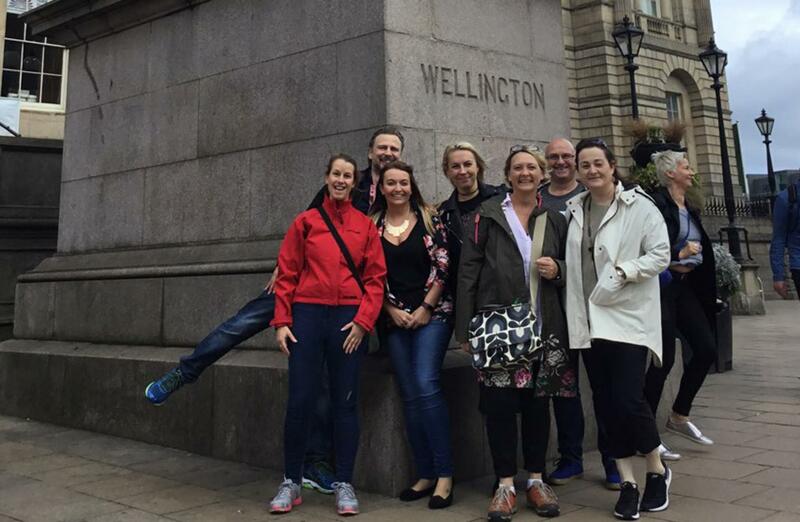 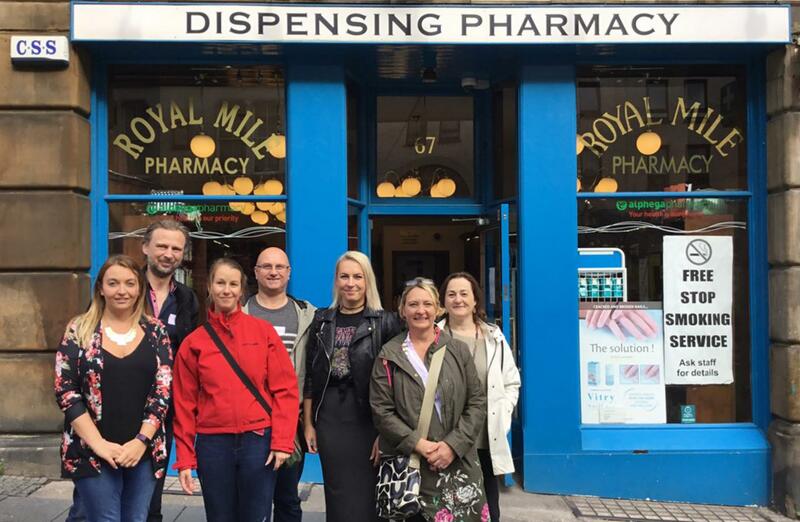 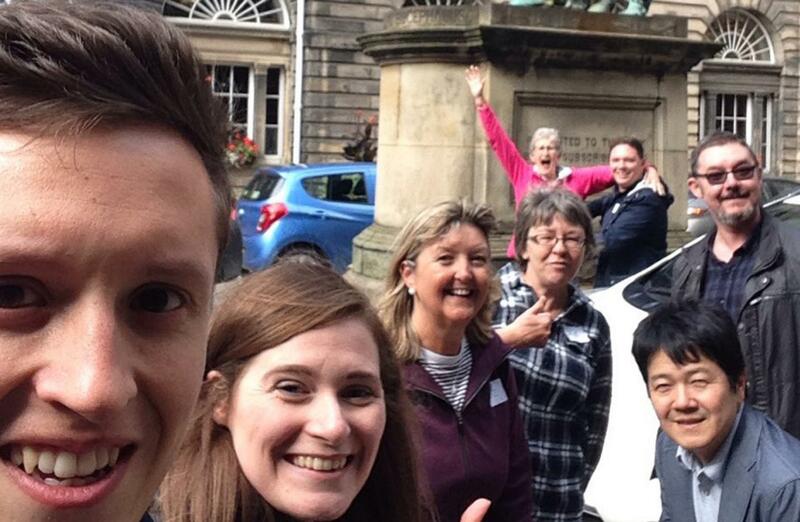 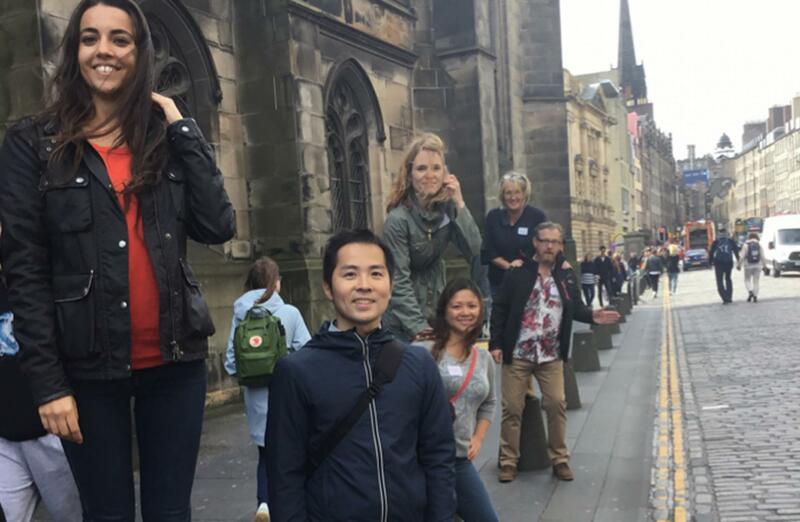 A massive shout-out and well done to the entire team from Kyowa Kirin on the day, all of whom were fantastic fun to work with and really got into the spirit of our Edinburgh GPS Interactive Treasure Hunt. 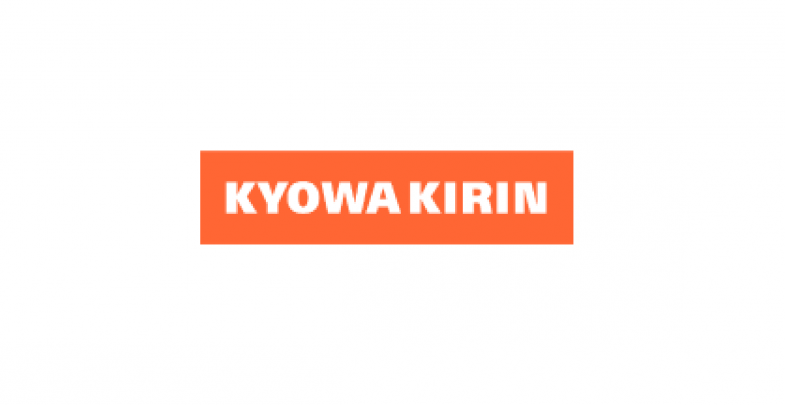 Also a fantastic round of applause to all for helping donate so much money on behalf of Kyowa Kirin to so many fitting causes, and we know the charities will be hugely appreciative of all efforts. 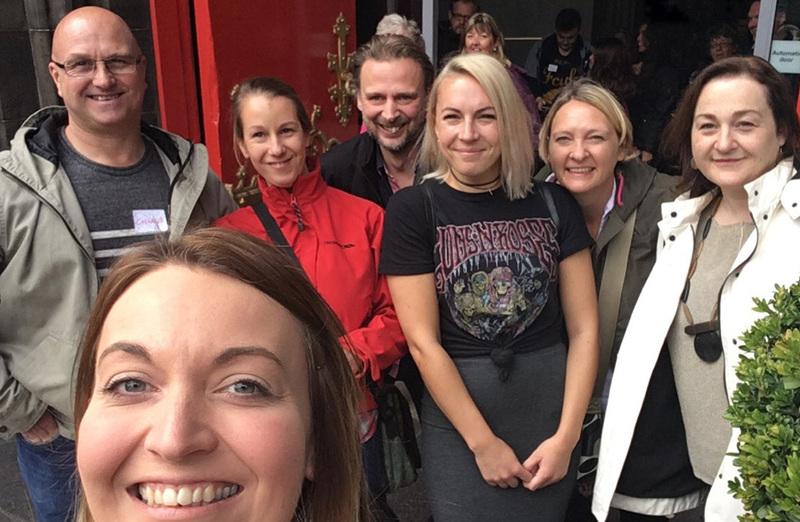 A special mention and big thank you must go to Beth and Nichola for all their hard work in pulling the event together…you all did a fantastic job, and very much hope the entire team from Kyowa Kirin had a wonderful day with us, and look forward to seeing you all again soon for the rematch.